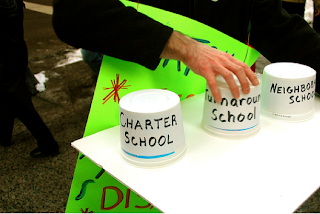 Research findings: A growing body of research indicates Chicago’s Renaissance 2010 plan to close, phase out, consolidate, or turn around schools and turn them over to private charter school operators or selective enrollment schools does not benefit low-income students of color. Students have been transferred from one low-scoring school to another; overall the moves did not significantly affect student achievement. Renassaince 2010 leads to exclusion of vulnerable students, increased school violence, disruption of teaching and learning, disruption and demoralization of receiving schools, destabilization of students and communities, and displacement of teachers. CPS charter high schools are not performing significantly better than CPS neighborhood high schools, while enrolling less special-need, ELL, and low-income students. Students and communities disproportionately affected are low-income African American and Latino. School closings are concentrated in gentrified and gentrifying areas. Case studies of schools proposed to close for under-enrollment indicate that CPS uses flawed enrollment data. There has been little genuine participation of parents, teachers, students, or communities in decisions affecting them. R2010 schools’ governing bodies are not open to public scrutiny. Charter schools nationally tend to be more racially segregated than regular public schools. 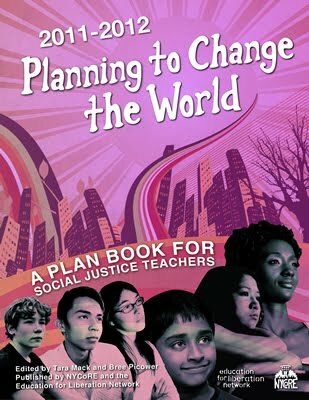 Recommendation: Freeze Renaissance 2010 and implement a school/community-centered school transformation process. 1. Students as Collateral Damage? Preliminary Study of Renaissance 2010 School Closings in the Midsouth. P. Lipman, A. Person, Kenwood Oakland Community Organization, February 2007. http://www.uic.edu/educ/ceje/papers.html As a result of school closings and student transfers, teachers, administrators, and parents in Midsouth receiving schools reported: a) lack of necessary resources, staff, and professional support; b) disruptive and demoralizing climate; c) negative effects on teaching and learning; d) problems with safety and discipline; e) schools were “set up for failure” due to a history of declining resources and lack of support from CPS. 2. Public Accountability and Renaissance 2010. Parents United for Responsible Education, 2008. http://pureparents.org/data/files/FOIAreport11-16-08.pdf Two-thirds of R2010 schools failed to respond to Freedom of Information Act requests for basic information about their governing bodies in 2008. Information from the schools that did respond showed that only 5% of their governing body members were parents. The Sun-Times recently released an article about the Anti-Local School Councils Meeks Bill, which would strip a vital source of remaining democracy in our school system. Here follows a message from PURE (Parents United for Responsible Education) regarding the Meeks Anti-Local School Councils Bill and Renaissance 2010 Moratorium Bill. Fight the Meeks anti-LSC bill -- Strategy meeting tomorrow, Wednesday Feb. 17, 6 pm, at Mollison Elementary School, 4415 S. King Drive (and get LSC training credit for 7-8 or -9) - sponsored by the MidSouth Education Committee. Call on City Council Education Committee members to sign on to the R2010 moratorium resolution and call for a hearing on the resolution BEFORE the Feb. 24th Board of Education meeting. Here is the list of Education Committee members' contact info. Here is the language of the moratorium resolution on R2010. Here is a sample letter to the members which includes evidence of R2010's failure.